Hafiz Mudassir, a Muslim cleric, reportedly burst into the home of 42-year-old Stephen Masih on the morning of March 11 in the Sialkot District, north of Lahore, accusing the mentally disabled man of blasphemy. According to Francis Masih, Stephen’s older brother, Stephen had become engaged in a heated discussion with a Christian brother-in-law over fasting and prayer during Lent when he became irritated and began shouting. Overhearing the argument, their Muslim neighbor Mr. Mudassir took it upon himself to reprimand him. 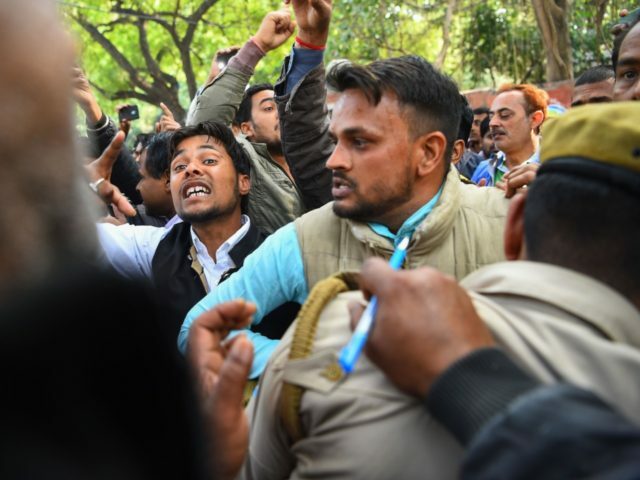 “We told Mudassir that it was not right for him to intervene in our family issue, but he took offense and raised hue and cry in the street, alleging that Stephen had committed blasphemy,” Masih said. Mudassir reportedly stormed out of Stephen’s house in anger, warning that he would teach Stephen a lesson. Not long afterward, Mudassir returned, leading a mob of angry Muslims. Someone eventually called the police, who rescued Stephen from the violent mob, he added. “The police took my brother away, and it was after some time that we learned that he had been charged with blasphemy,” Masih said. “We have been running from pillar to post, as we are very worried about his condition, especially since he was ruthlessly beaten up by the mob, but the police are not arranging our meeting. They keep telling us that he is safe and being taken care of,” he said. In his testimony to Badiana police, Mudassir said he had been standing outside his house when he heard Stephen Masih shouting insulting words about Muhammad. According to news media, the report was filed under Section 295-C of Pakistan’s blasphemy law, which calls for the death penalty for defaming the prophet Muhammad. Mohammad Ashraf, the official who registered the case, told Morning Star News that police have not yet determined whether Stephen’s diminished mental capacity will be a factor. Stephen’s sister Alia said that when her brother was in the 5th grade, he came down with typhoid fever and became mentally unwell. Stephen had to drop out of school due to his illness, and his behavior began to change. Around 12 years ago, a doctor from the Civil Hospital declared Stephen mentally disabled, but the family does not have the medical report. Faraz Masih, the victim’s nephew and an eyewitness to the event, said the entire neighborhood is aware of Stephen’s mental status and local children often tease and bait him into arguments. Francis Masih said that when his brother was younger a doctor advised the family to commit Stephen to a mental health facility, but their mother was unwilling to send him away. “And now we don’t even know where he is being kept and in what condition,” he said. At only two to three percent of Pakistan’s total population, Christians are particularly vulnerable to persecution under Pakistan’s blasphemy laws, which date back to the military dictatorship of General Muhammad Zia-ul-Haq (1978-1988). In 1980, Pakistan’s Penal Code was amended to criminalize derogatory remarks against any Islamic personage, with a punishment of three years in prison. Two years later, a clause was added prescribing life imprisonment for willful desecration of the Qur’an and, in 1986, another clause was added to include blasphemy against the Prophet Muhammad as a crime punishable by death or life imprisonment. For years, the U.S. Commission on International Religious Freedom (USCIRF) pressed the State Department to issue a stronger condemnation of Pakistan for its grave violations of religious freedom, advising it to add Pakistan to its list of Countries of Particular Concern (CPCs). Pakistan’s “repressive blasphemy laws” continue to “violate religious freedoms and to foster a climate of impunity,” the USCIRF said. In January 2018, the U.S. State Department announced that it would finally add Pakistan to its Special Watch List for severe religious freedom violations, citing the egregious abuse of Christians, Hindus, Ahmadi Muslims, and other minorities in the country. Soon after, the U.S. State Department warned Americans against travel to Pakistan, citing Islamabad’s enforcement of the nation’s strict blasphemy laws, which have primarily targeted Christians and other minorities in the Sunni Muslim-majority country. “Sectarian violence remains a serious threat throughout Pakistan, and the Government of Pakistan continues to enforce blasphemy laws. Religious minority communities have been victims of targeted killings and accusations of blasphemy,” it said in a statement.